Today, Jan 31, is the beginning of the Chinese new year – also known as the Lunar New Year. 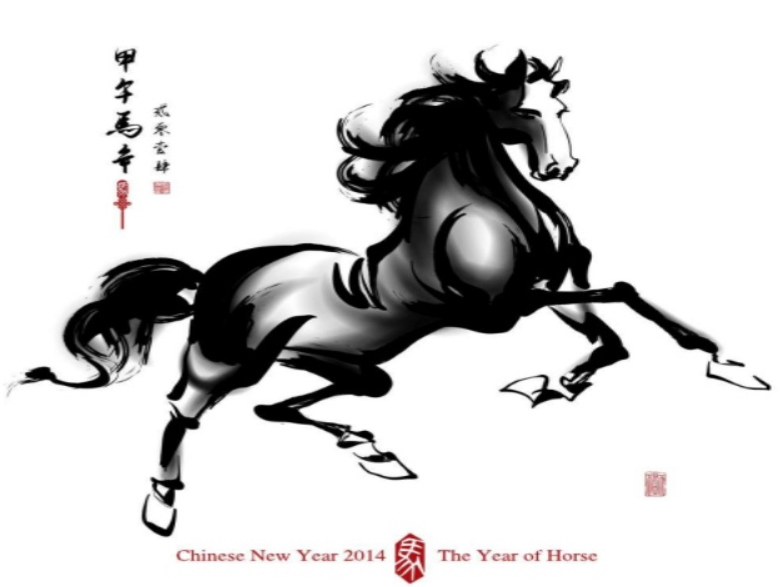 This begins the year of the horse. Happy New Year to everyone celebrating! 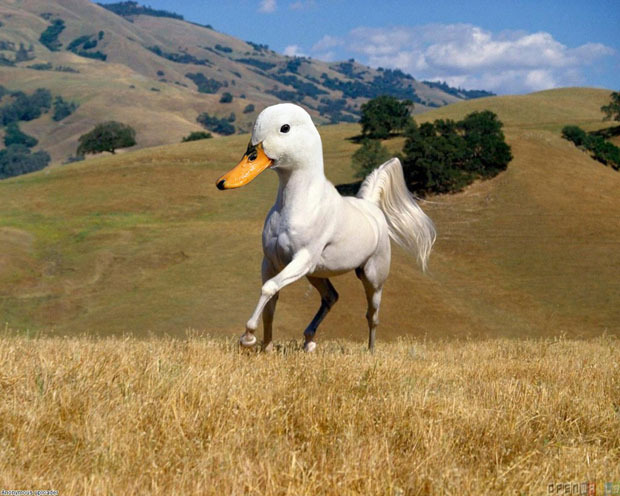 People can create amazing pictures on Photoshop by combining different animal pictures together. 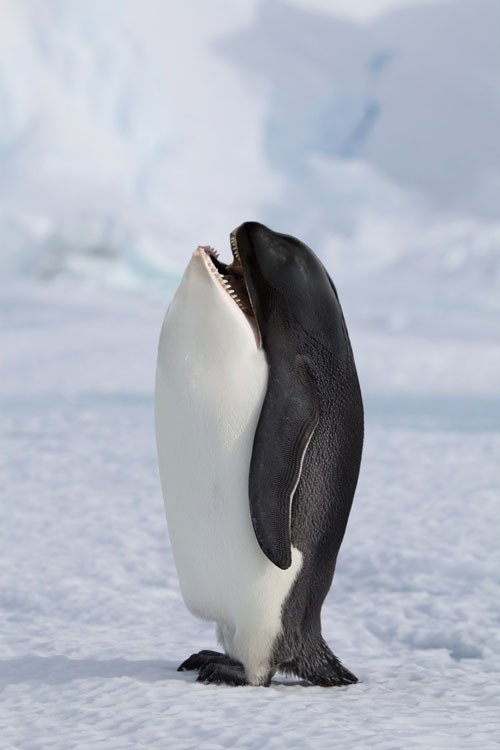 The article I found on Petapixel describes these creations as Chimeras. A Chimera originally referred to the mythological Greek animal combination of a lion, goat and snake (usually portrayed as a lion with goat head on its back and a snake tail). 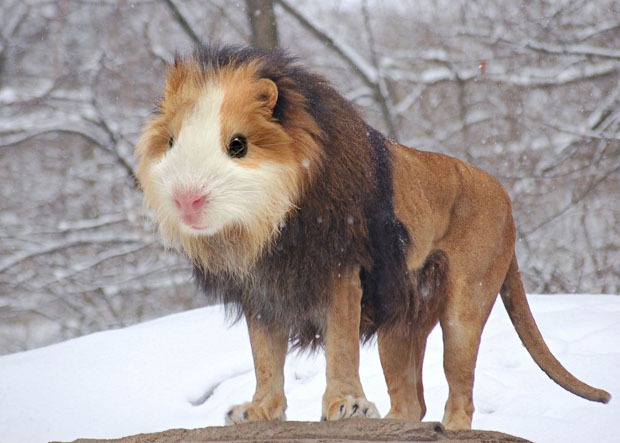 Now the term Chimera can be used to refer to any imaginary creature created using two or more animal pictures. 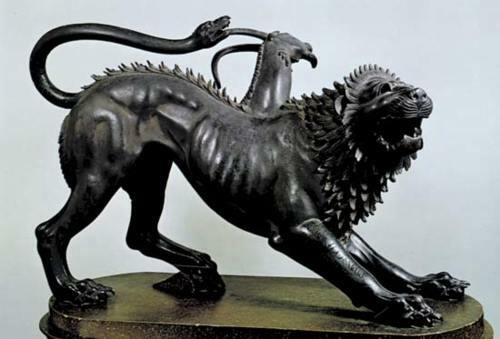 Bronze Chimera of Arezzo, in Museo Archeologico Nazionale in Florence. All of these photos are examples are from Petapixel. Click the link to see more photos and read a short tutorial about the process if you want to create your own Chimeras. I really want to start looking for appropriately colored and posed animal photos to try and create my own examples! It might not seem like much, but they had some great ideas of ways to improve the wait for a bus. They put up different posters with a mobile website for people to visit on their phone, doing so resulted in some form of alternative transportation arriving. Things like a fast convertible or a bus full of performers. They also had a couple very cute ideas: For those that have seen everything – a team of sled dogs and a sled. For those who are in love – a carriage ride. For the stressed – a bus full of puppies to pet and play with! All of this publicity is meant to direct you to Qualcomm’s facebook page to take a quiz and see if you were “born mobile.” I believe the idea is that we are exposed to technology at younger ages, and might have grown up on it, and this is affecting the world. You can watch more of the videos from that bus stop and enter to win a Qualcomm device as well. To read more about Qualcomm and about the concept of being born mobile, please visit qualcomm.com. Today is the 138th Kentucky Derby at Churchill Downs! It is warm today, around 84 degrees, and dispite rain yesterday the track has dried and been rated as fast. Only for three year old horses, these athletes have only one chance in their lives to win this race. These two minutes mean a lot in the horse racing world! 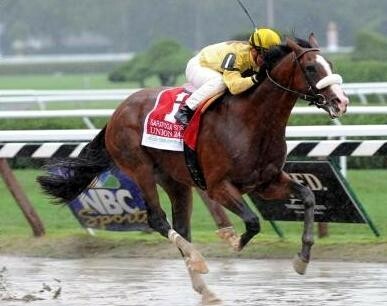 Union Rags’ owner has a wonderful story – she sold him as a colt and repurchased him for much more than he was original sold for when he went to auction. He has turned out to be a champion so far, will he be able to pull off a big win? 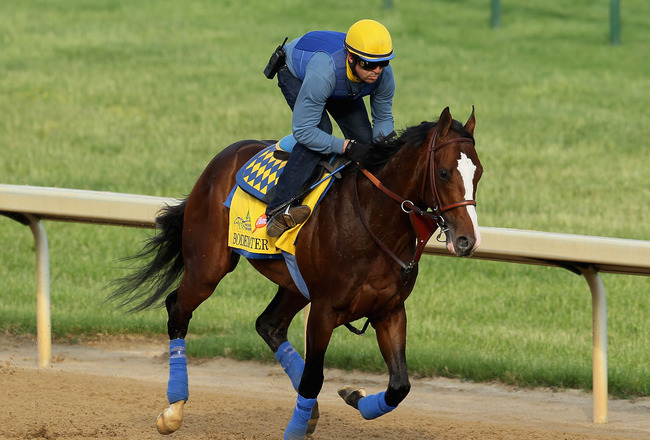 There are a couple others horses that I want to highlight before the race. 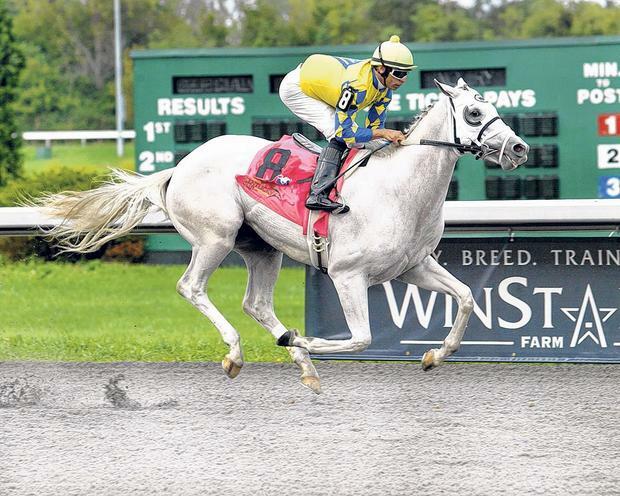 Hansen – a beautiful all white horse that is drawing a lot of attention to himself. A bit of controversy surrounds his owner Dr. Hansen who has used the horse to seemingly bring himself publicity. He wanted to dye part of Hansen’s tail blue for the last race he ran, even with threats to scratch the animal over the issue. The tail was dyed back by the trainer to prevent any problems at the anger of Dr. Hansen – Hansen placed second in that race. He has done well thus far, can he pull off a win today? 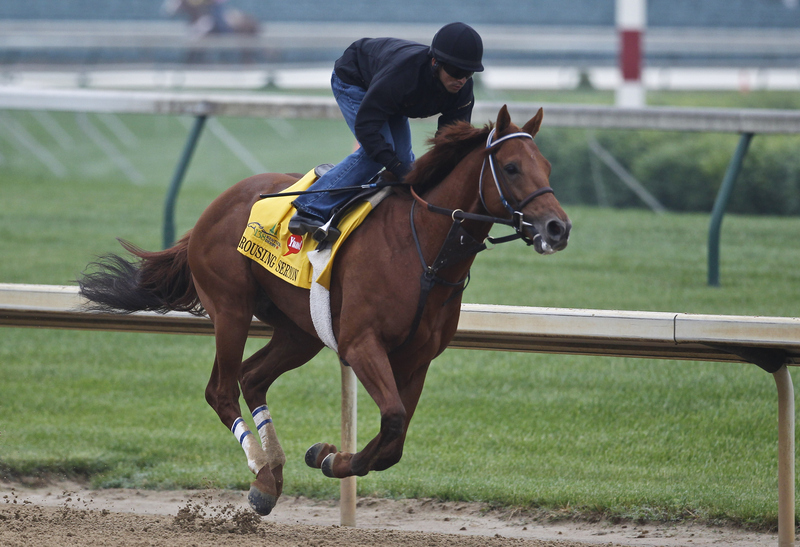 Bodemeister – Has a lot of potential to win this race by the very nature of his speed. He won the Arkansas Derby by 9 1/2 lengths. However, he has not been raced that many times (never as a two year old) and new situations could come up that will startle him and impact his performance. Maybe he can pull off such a wonderful win today. 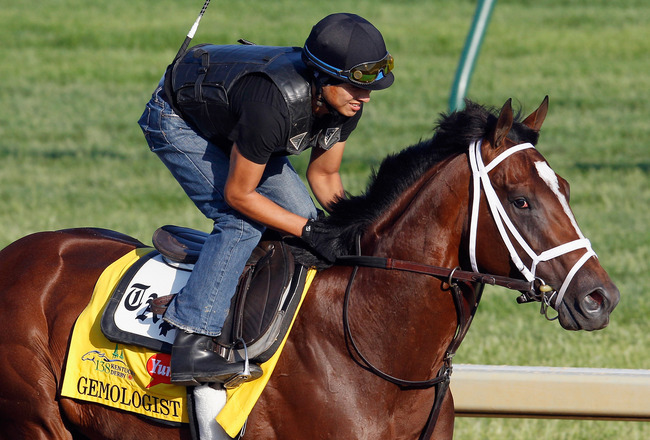 Gemologist – So far undefeated, and the only horse in the field to be so, Gemologist has great potential and good odds to take the Derby. 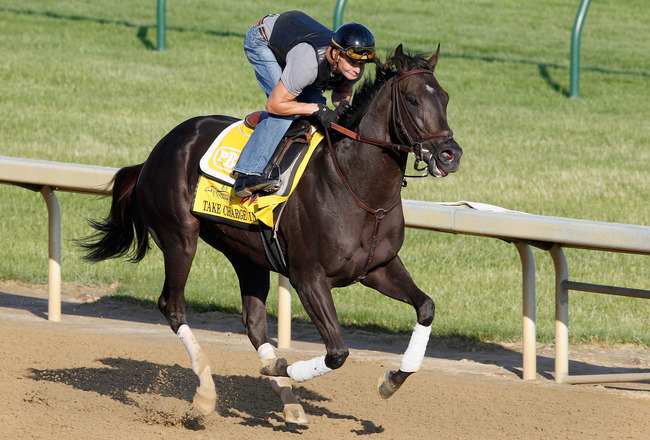 Take Charge Indy – He has won in a couple major races but has not gotten much publicity like other derby favorites. 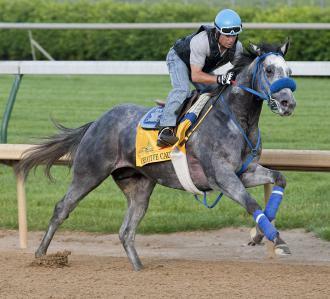 However, he will have three time derby winning jockey Calvin Borel – so only time will tell if this combination will take it all today. 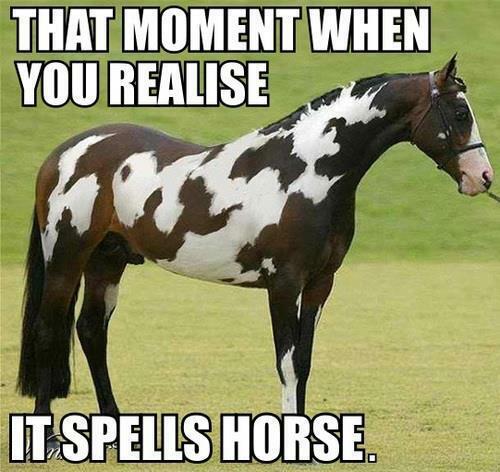 Creative, and I am not sure that many people would name a horse something like this. So I am interested in seeing how he runs. Also great names: I’ll Have Another and Daddy Long Legs. 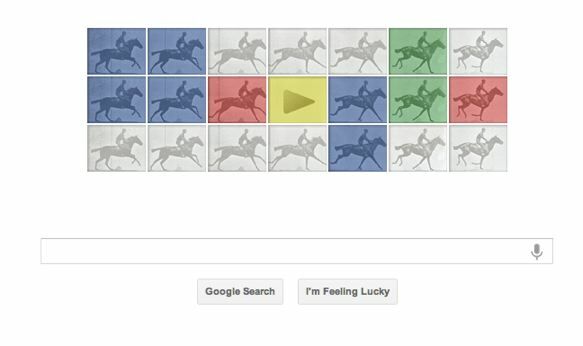 Have you seen today’s Google Doodle (the picture on the front page of Google featuring their name)? 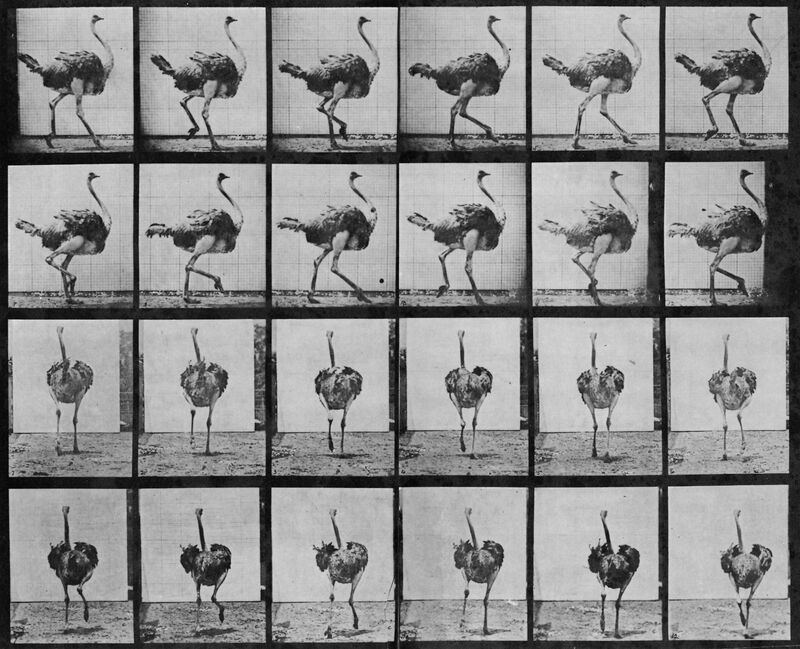 Eadweard J. Muybridge was an English photographer who used multiple cameras to take pictures of animals and people in motion, and then project them as moving pictures before film with a zoopraxiscope. 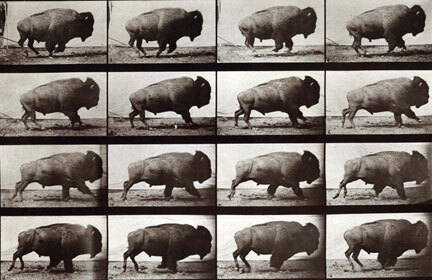 His work helped to better understand how people and animals move. 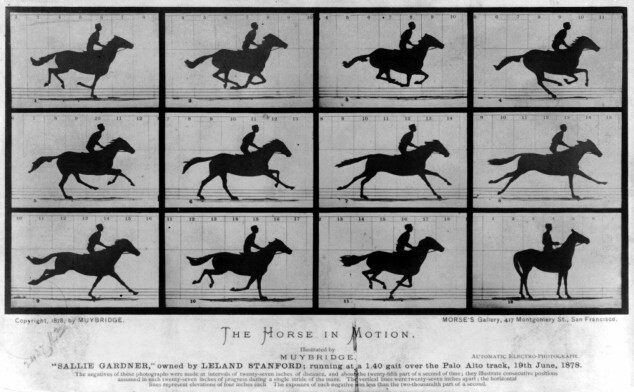 The Horse in Motion was created to settle a common question of the day scientifically: were all four of a horses hooves on or off the ground while at a trot? 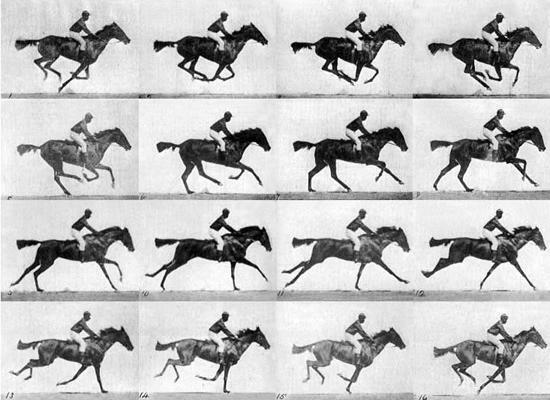 Art leading up to this point in history often featured the horse at a trot with all legs off the ground, the front legs out in front off the ground and the back legs out behind the horse and off the ground. 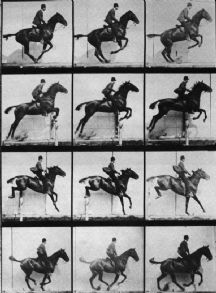 He set up a series of cameras to take pictures as the horse trotted past. 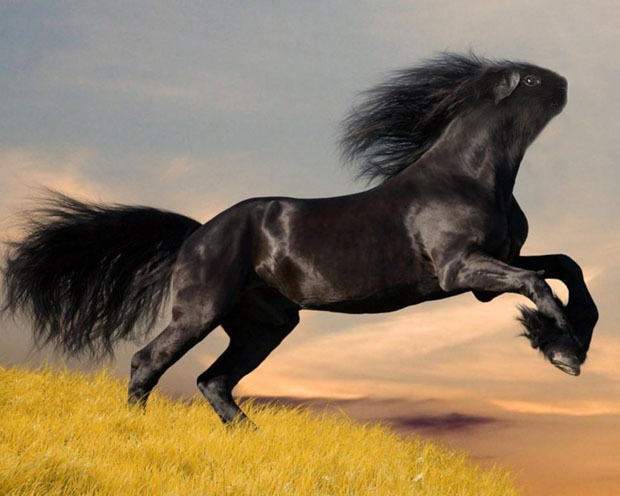 It took only a single picture to actually solve the debate: a horse does have all four hooves off the ground at once, when all legs are tucked up under the animal while switching between pulling forward with the front legs and pushing forward with the back legs, not as artists had depicted. Hope everyone is having a good Saturday! 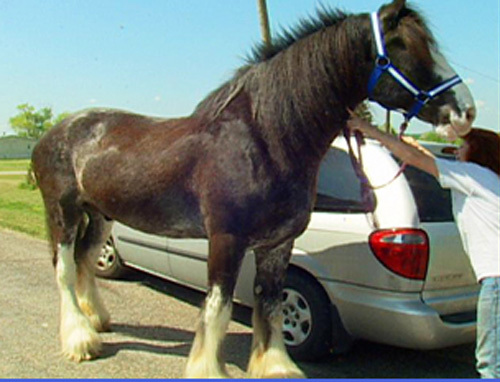 Here he is pictured next to a horse of normal size. Einstein lives on a farm in New Hampshire, he was purchased from well known mini horse breeder Judy Smith. 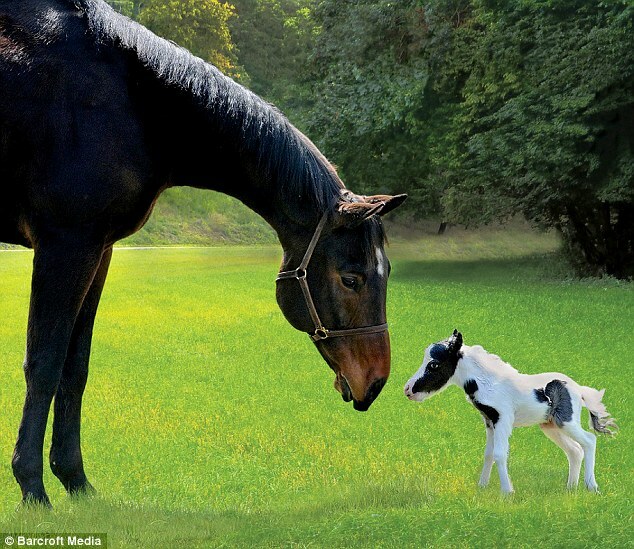 Most miniature horses are 18 pounds at birth. 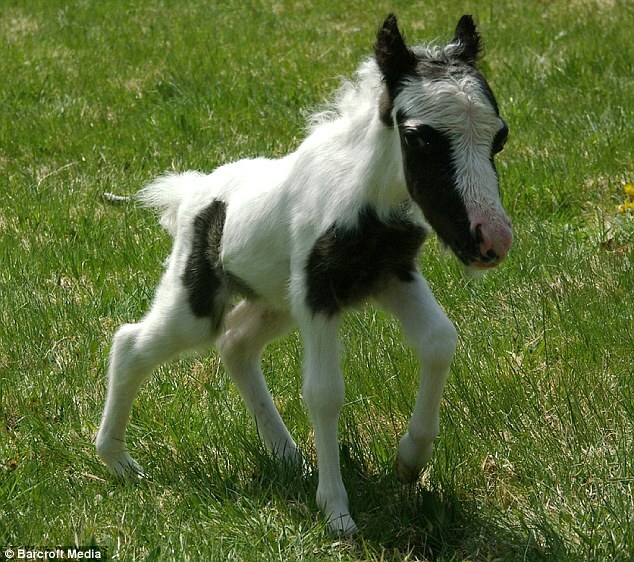 Einstein is the smallest foal to survive. 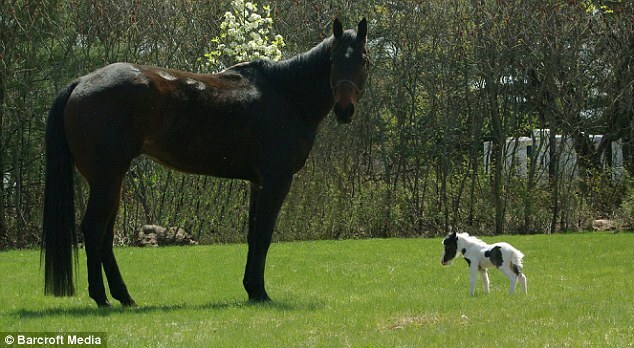 He has no dwarf characteristics, so he is just a small version of a large horse. Tonight on Inside Edition was a short segment showing the world’s tallest horse, a 6’9″ 3000 pound Clydesdale named Remington. He eats 8 times more than a regular horse, drinks around 40 gallons of water a day, and wears a size 10 horse shoe. To read the story and see more photos, see Insideedition.com.